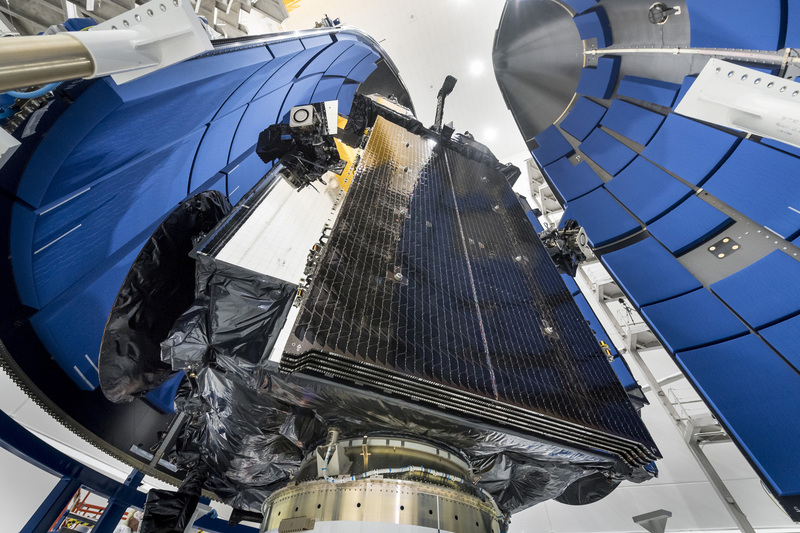 October 11, 2018 – The fourth Lockheed Martin-built Advanced Extremely High Frequency (AEHF) protected communications satellite is one step closer to space. The AEHF-4 satellite was encapsulated into its payload fairing on September 26 in anticipation of its October 17 launch from Cape Canaveral Air Force Station, Florida, on a United Launch Alliance Atlas V rocket. Lockheed Martin manufactured the AEHF-4 satellite at its Sunnyvale, California facility. The satellite was delivered to Florida on July 27, 2018.